It is exciting to see registrations coming in and our website tells us it is 74 days to go! Early Bird – 9 days to go! 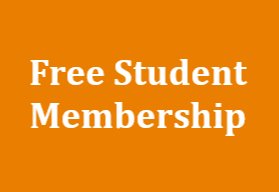 The NSW Branch of Kodaly Music Education Institute of Australia (KMEIA) is pleased to announce that SCHOLARSHIPS will be offered for the 2014 National Conference BRIDGING THE GAP to be held at Ascham School from 29th September – 2nd October this year. Applicants need to be residents of NSW. Written references are required. Applicants need to be aware of the conditions placed upon recipients – detailed on the form. The Early Bird deadline is just 9 days away. If you’re planning to come, make sure you have your registration and payment in by then for a significant saving! Breakfast will be available, to those staying both onsite or offsite, in the school dining room. The cost is $10 for a hot breakfast and $6 for continental, payable on the day. Please plan to stay for the Closing concert on Thursday 2nd exciting new venue, the Sydney Grammar Hall, College Street, Darlinghurst. Featured in this concert will be the Delegates’ Choir, made up of all the delegates who will rehearse each day with Chris Shepard, one of our guest clinicians. Chris is an exciting conductor to work with, and you will love being part of a performance with him. You can read Chris’ bio on the Conference website. Joining the delegates will be some young singers who will be involved in the special choral programme with Mark O’Leary. A work has been commissioned especially for the conference concert. Delegates were asked to give their responses to the topic of why we love being music educators, and our composer, Paul Jarman has taken those responses and used them to inspire the text for this choral piece. This will be performed at the concert, along with segments from some of the invited choirs and the young singers who will have worked with Mark. During the conference, we will all have the opportunity to be part of the Delegates’ Choir, each day in the morning after the plenary session. Chris has chosen some works by Bach, Byrd and Richard Charlton. Please make sure you can stay for the concert. We are planning to be finished by 7.45pm and will have some closing remarks and presentations at that concert. 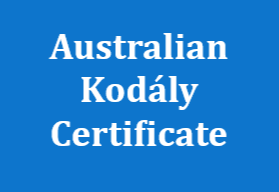 Kodaly Music Education Institute of Australia, NSW, through the Professional Teachers’ Council NSW – Board of Studies, Teaching and Educational Standards (BOSTES) (formerly the NSW Institute of Teachers) as the endorsed provider of Institute Registered professional development for the maintenance of accreditation at Proficient Teacher level. Selected sessions at the KMEIA National Conference 2014 are registered with BOSTES for professional development at Proficient Teacher level. These sessions address the Australian Professional Standards for Teachers: 1.2.2; 2.1.2; 3.3.2; 6.2.6; 7.4.2. As the conference gets closer, thanks to all those who are supporting us. We especially acknowledge Ascham School and all those who are signing up as sponsors and traders. 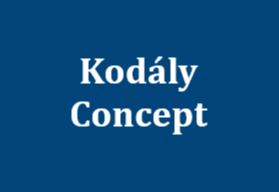 Please see https://sites.google.com/site/kodaly2014/sponsors-and-advertisers for details.